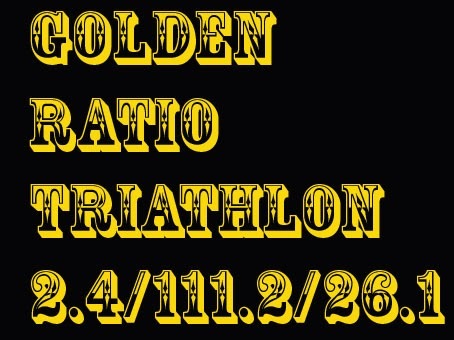 My second Golden Ratio Triathlon was smoother than the debut performance in December. My GRT started 7:00am today. The 2.4 km swim was a bit faster, totalling 47 mins including a toilet break. I skipped sauna this time. The transition took a while because I decided to have a second breakfast. After the swim I checked the weather and saw a rain storm approaching in the afternoon. So I decided to run before cycling. I wore rain gear anyway, as the air humidity was 100%. The temperature was +4C and there wasn't much wind. The 26.1 km run on the same old course took me 2h42min - a 27 min improvement. As last time, I did most of the 111.2 km bike on my Tacx Bushido trainer. It's a lot easier and safer to cycle indoors than outdoors. I completed the bike section at 4:06pm, which meant a new PR total time 9h6mins - 2h:54min faster than my modest 12h00mins performance three weeks ago! I even considered trying to break 9 hours, but left it for the future attempts. Although I didn't go too fast at any point, my whole body can certainly feel the effects of 139.7 kilometers. This is a great workout and fun too! If there were trails like the ones in your pictures where I live I'd be out there every day. This is great stuff. Thanks Shawn! I'm lucky to live in the middle of nice trails. WOOOOOOO HOOOOOOO I'm in UTMB 2014!